This week Room 5 welcomed another new student - Connor. Yesterday was his first day at school. Connor had a great day as you can see from the pictures! At news time he told us about his new baby sister , he explored the books in our class library and in the afternoon had some fun during our ball skills time. 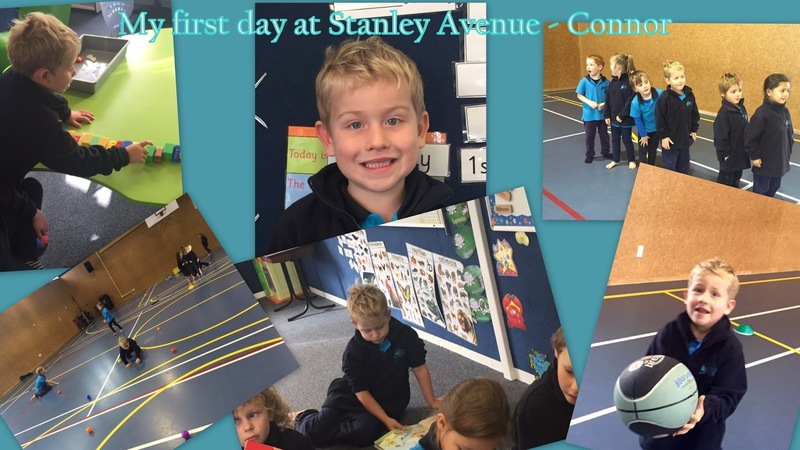 If you see Connor around, make sure you say a big hello and welcome him to Stanley Avenue. Wow connor looks like you had a great day at school!! Love the photos.